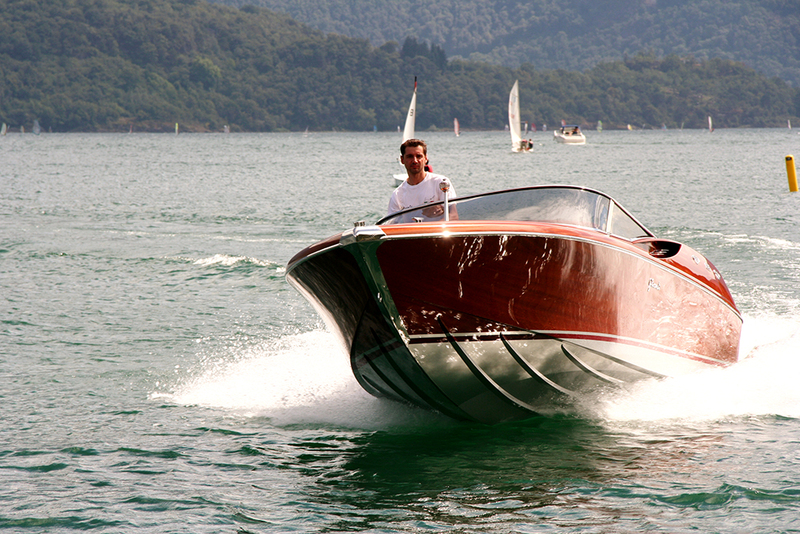 Asso: this runabout vessel has a modern, innovative design, high-tech features and a spirit built from illustrious, traditional materials. 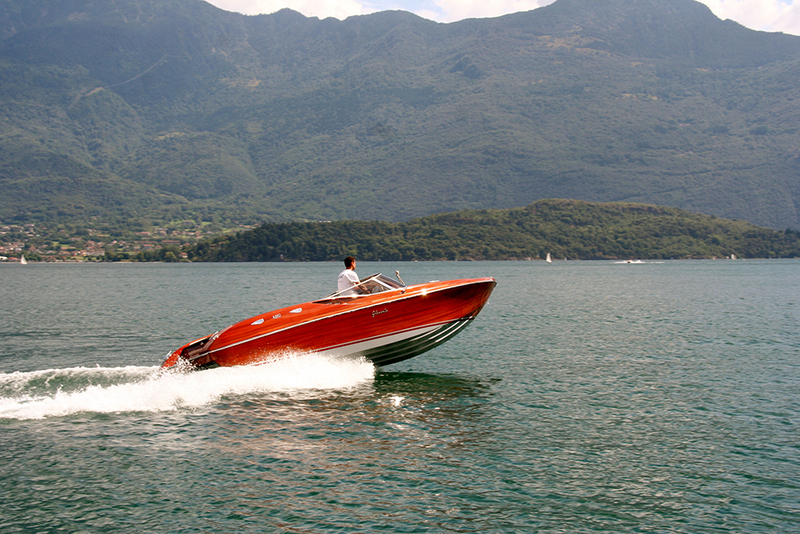 Perfect for day cruises, it is quicker and more comfortable than a standard wooden boat. 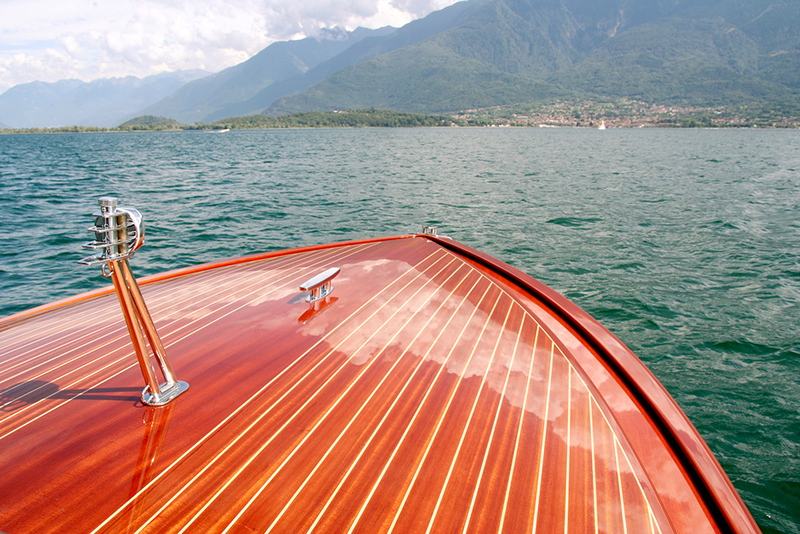 The careful design of the hull means it can plane at below 2000 RPM (with petrol motors), and at this pace the lack of noise and turbulence means you can chat without difficulty while you sail. 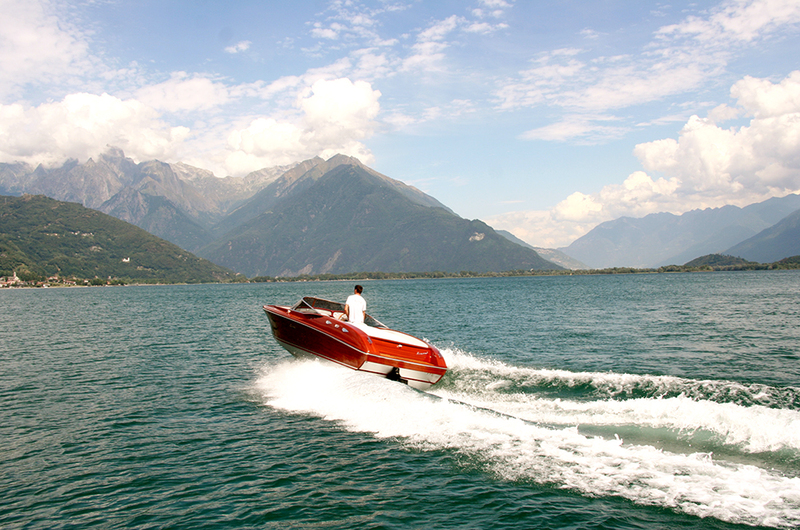 However, at full throttle Asso can reach sixty knots in just a few seconds. 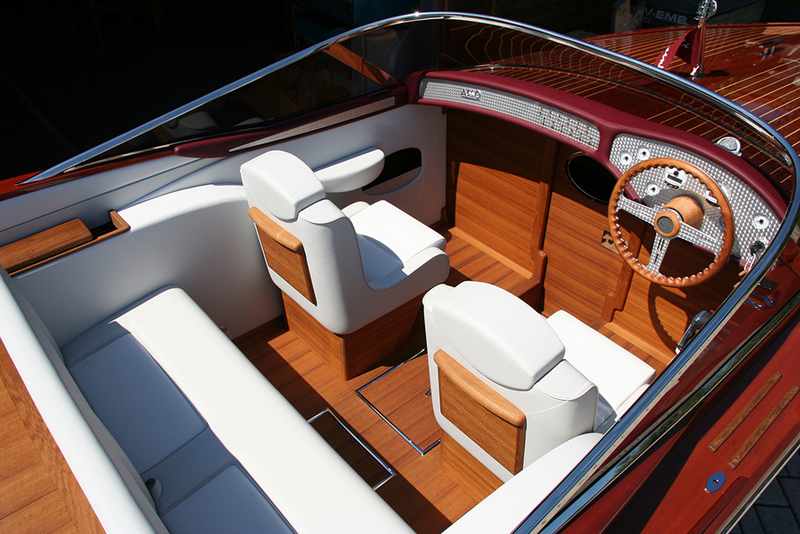 It easily holds six people, thanks to two comfortable chairs, a sofa, a large sun lounger and a small cabin. 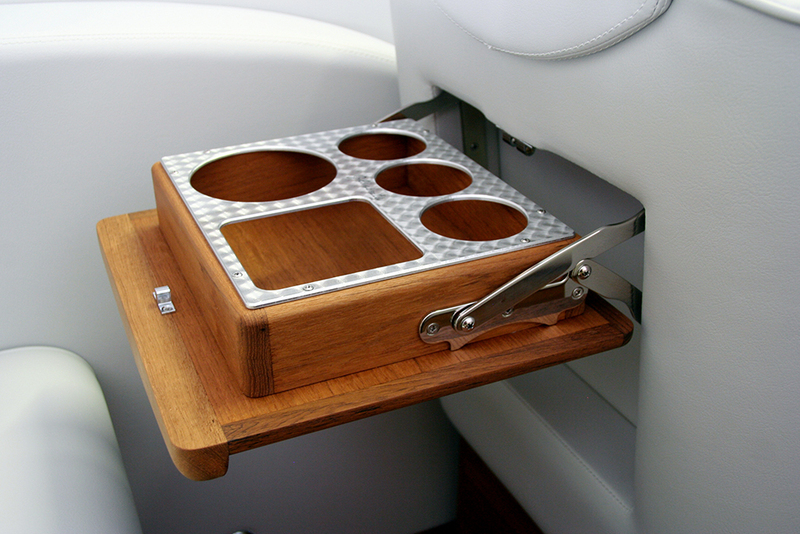 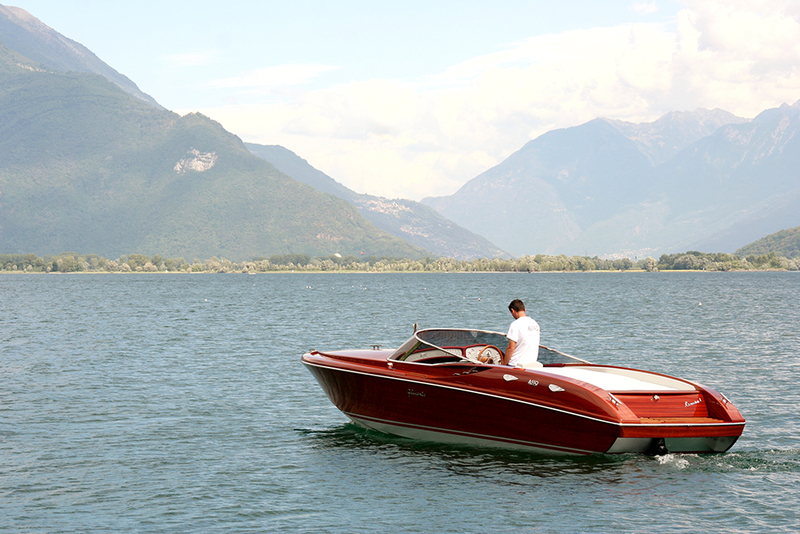 Its refined design, made of vacuum-glued, laminated mahogany and varnished to perfection, ensures it will require less maintenance than older boats. 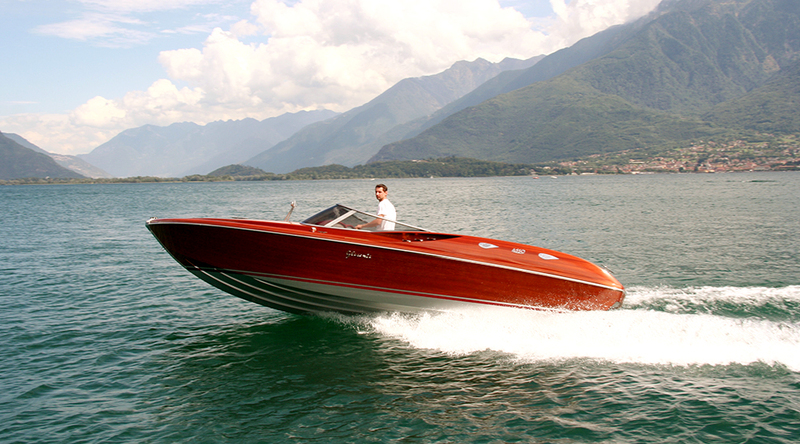 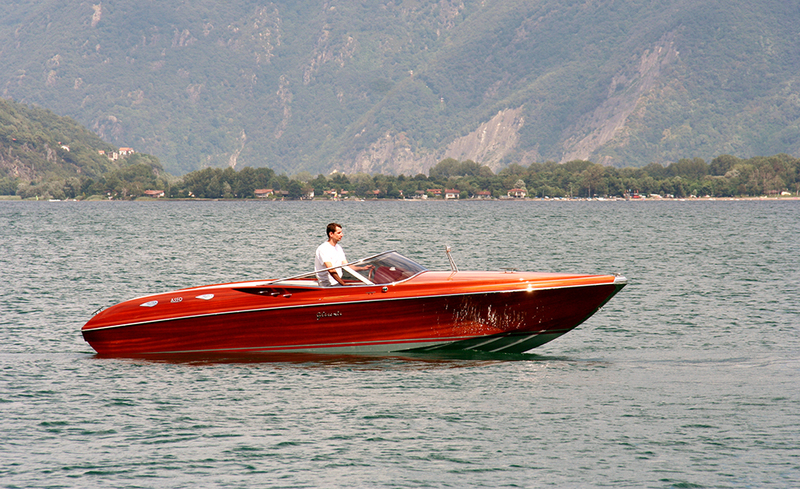 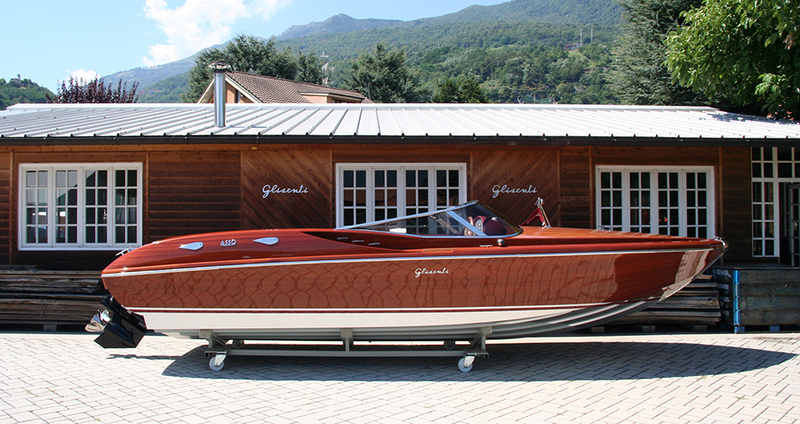 Ideal as a tender for large yachts or as an exclusive taxi boat, its versatility is one of its strong points.